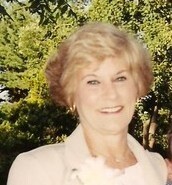 Millie J. Reilly, 74, of Naples, FL passed away February 4, 2019. She was born October 21, 1944 to James and Mildred Swain in New York, New York. Survivors include her beloved husband, John Reilly of Naples; daughter, Lori Morotta (Rick); son, John Reilly, Jr., both of Naples; grandchildren, Eric Roderka (Sarah), Jenna Roderka, Nick Morotta, Amanda and Sean Reilly; greatgranddaughter, Gia Roderka and sister, Madeline Fitzgerald (Gary) of Oakdale, NY. A memorial gathering will be held Thursday, February 6, 2019 from 6:00 to 8:00 p.m. at the Muller-Thompson Funeral Chapel.